I sleep with the windows open here in Washington D.C., even though I’m awakened periodically during the night by a loud truck or some other fossil-fueled vehicle. It’s important for me to live with the mess we have created, and it is one of many motivations to work urgently to solve the greatest challenges we face as a society. Our relationship with nature and the environment is a massive problem, and we are running short of time to find real solutions before we do considerably more damage to this beautiful, amazing planet. Sometimes I wish I had a megaphone that I could speak through to every person in the world, telling them, “Stop what you are doing! We can do so much better if we live in harmony with nature. We are capable of this, and we will all be happier!” I became involved with EMA because I think they might have access to that megaphone. Most people at some level understand the need to preserve the environment. Unfortunately, the momentum of our capitalist society is so great that it has become difficult for individuals to live their lives in a way that does not contribute to our environmental problems, let alone solves them. It has also become very easy to disconnect completely from the laws of nature and ignore our feelings as we cruise our freeways, shop online, and fly around the world from city to city. I am concerned that as more of us spend less and less time in natural settings that our society will lose the connection to and appreciation for the miracles of nature that sustain life on earth. Corporations are of course a huge part of the creation of the problem, but they can be a major piece of the solution to the problem as well. I have devoted my life to trying to get corporations to change their behaviors, which will then allow all of us to change ours more easily. Growing up in Whitefish Bay, Wisconsin along the shore of Lake Michigan I played along the shoreline year-round. It changed every day and through the seasons, from the warm & inviting waters of summer to the windy, frozen, and dangerous waters of winter. Animals, land, water, plants, insects, fish, moss, and air all came together without any outside force and somehow created a balance that sustained itself. I was frequently in awe, and when I learned about Chicago and the steel mills to the south, the taconite mines to the north, and the big ore ships with the strange fish species in their bilges I knew we were in the process of ruining all of what nature offered. I did not think then - and I do not think now - that man has improved upon what nature offered. The University of Wisconsin afforded me a degree in Agriculture and also the opportunity to learn the sport of rowing and sculling. We were very good, and I was able to win a spot on the United States National Rowing Team and compete at World Championships. This meant I was on the water somewhere almost every day, whether it was Lake Mendota when I was at school, or the great rivers of Europe with the US Team. I saw ancient villages, small family farms, and the industrial underbelly of the city after city. Sometimes the river was so polluted that we were required to have tetanus shots; just a few drops of that water were enough to make you sick. But in other places, we could swim and enjoy the natural beauty of the rivers carefree. There were big differences based on where an industry was located and where the water flowed. After college, I ended up on Wall Street, at Lehman Brothers in the late 1980’s. This was just after Reagan and Thatcher had pushed through the initiatives that supported “free market” activities, and I learned about investing during a period that emphasized profits above all else. I am grateful to the Lehman Brothers of the 1980’s for having given me the opportunity to see so much so quickly at such a young age. But I realized that I did not fit in with that culture and left at age 29 to become a partner in a newly formed investment firm; I felt as if I had stepped out of a carnival midway and into the sanctuary of a library. 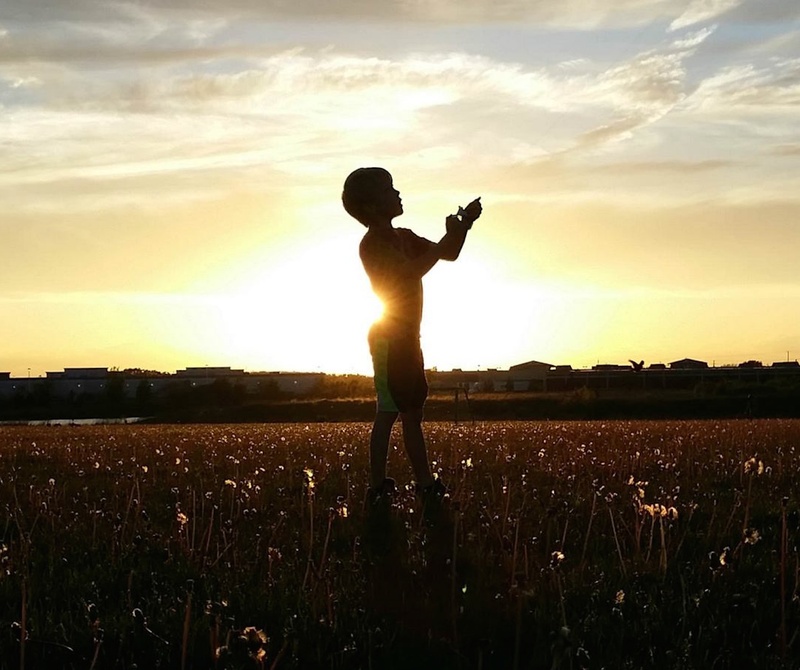 Through the lens of the anti-Apartheid movement and the initiative to divest from companies doing business in South Africa, I began to learn about socially responsible investing. This concept added to my ideas of fair and just profits versus profits created through some improper use of power. I saw that our capitalist system left plenty of room for what I believed was severe abuse well within the rulebook, but that investors had more power than they realized. They could use that power to do damage, or they could use it to make a positive difference. As the firm grew and became successful I moved up the ladder to CEO, and I ultimately began to spend more and more of my time understanding the role the markets and investors can play in being a force for positive change. 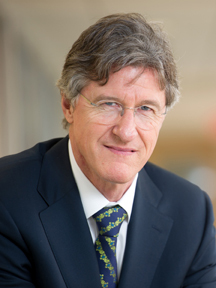 In 2012 I left that firm and have since focused all of my time building research systems that allow investors to make decisions that foster positive change for society and the environment. When I learned about EMA, I immediately wanted to become involved because I saw the potential: together we could change attitudes and help show millions of people how to take better care of the environment. Today, many corporations are making significant progress towards sustainability, but we need all companies to join in that progress and for the pace of change to accelerate rapidly. People who are in a position to influence this change should do all they can to hasten these trends, and our entertainment and media system is a powerful tool. Our free market system and the investment industry are also powerful tools; both have to provide the right guidance, signals, and leadership to rebuild a fair, just and sustainable world – especially for the least fortunate among us and future generations. I believe that all of us need to be open to real change in our day to day lives and that just because we live the way we do today does not mean that it is the only way or the best way. We can see changes happening all around us; in our food system, in how companies behave, and in many other areas that show positive trends. So I am optimistic that we are capable of real change. I also realize that there are entrenched interests that do not want the kind of change that will be good for all people and future generations; we are in for a real battle. Help Save the Plastic Bag Ban! Plastic bags plague our beaches, inland waterways, parks and neighborhoods. Designed for only minutes of use, single-use plastic bags easily become litter and don't degrade in the natural environment. It's estimated we use over 13 billion plastic bags each year in California. Environmentally, they threaten wildlife - over 663 species of ocean life have ingested or become entangled in plastic pollution. Economically, they cost tens of millions of dollars each year to clean up. And societally, they blight our neighborhoods and beaches. This is a grassroots, community-based fight against big business. If you want cleaner communities, greener jobs and a healthier environment, vote YES to uphold California's bag ban. This past week, celebrities, families, and a very determined group of young activists called the Youth of Standing Rock Reservation took to Union Square, NYC to protest the Dakota Access Pipeline. 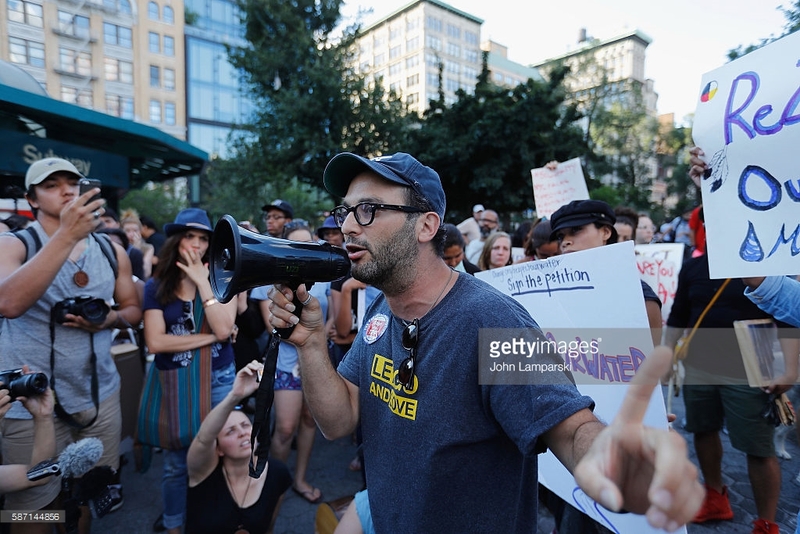 With megaphones set to 11, upcoming 2016 EMA Honoree, Shailene Woodley, 2X EMA Documentary Award winner and 2016 nominee, Josh Fox, and 2008 EMA Honoree and long time EMA Board Member, Rosario Dawson led an earnest yet friendly call to action. According to 13-year-old Anna Lee of the Standing Rock Youth, "In Dakota/Lakota we say “mni Wiconi.” Water is life. Native American people know that water is the first medicine not just for us, but for all human beings living on this earth. The proposed Dakota Access Pipeline would transport 570,000 barrels of crude oil per day, across four states. Oil companies keep telling us that this is perfectly safe, but we’ve learned: from 2012-2013 alone, there were 300 oil pipeline breaks in the state of North Dakota. With such a high chance that this pipeline will leak, I can only guess that the oil industry keeps pushing for it because they don’t care about our health and safety. It’s like they think our lives are more expendable than others’." 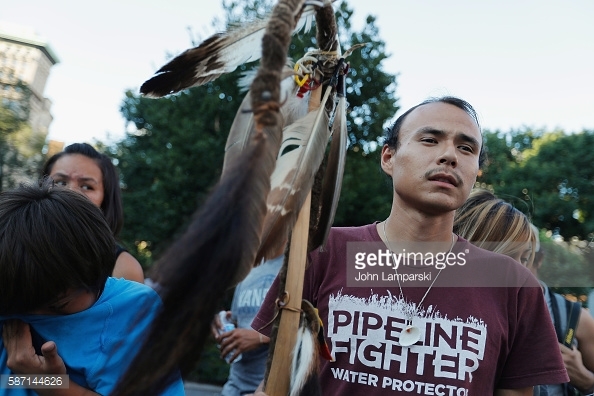 Please sign the petition and help stop the Dakota Access Pipeline! We're happy to announce these five brands as our newest EMA Healthy Family Trusted Partners. 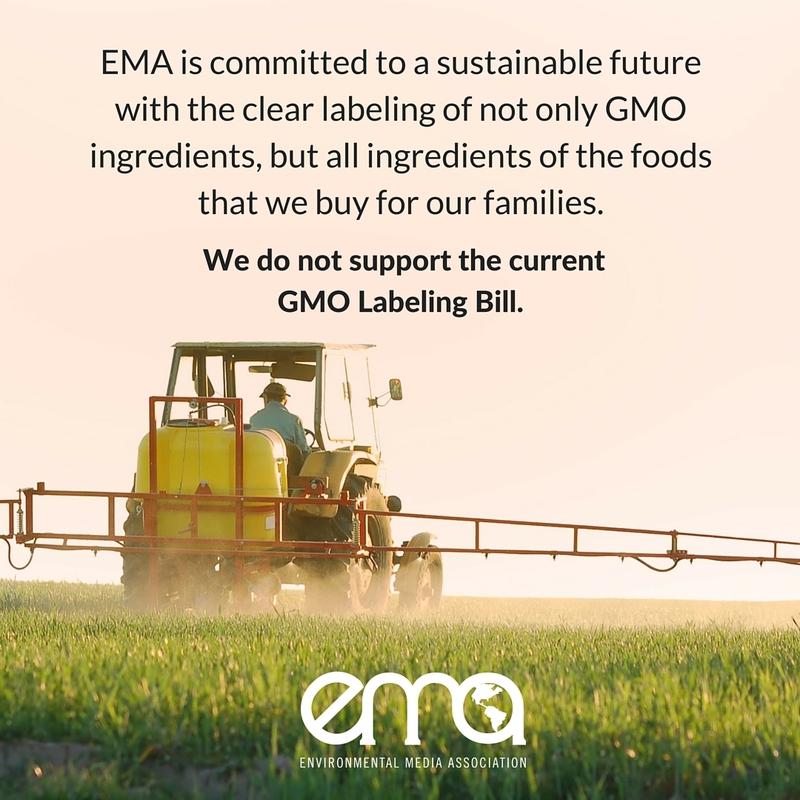 Click here to learn more about our EMA Healthy Family Seal. Our Healthy Family Program's main goal is to educate and inform families on how to live healthy and sustainable lives. In addition to our Seal and Trusted Partners, we've started a fun and informative blog series that will provide families with green-living and health tips. Since we're all one big green family here at EMA, we encourage our Members to interact and tell us their Healthy Family tips. Our posts will be relevant and helpful for families trying to be green. Are you putting our tips into action? Tag us in your tweets and photos @green4ema and we'll share them. SAVE THE DATE: The 2016 EMA Awards are Happening October 22nd!! It's almost that time of year again! 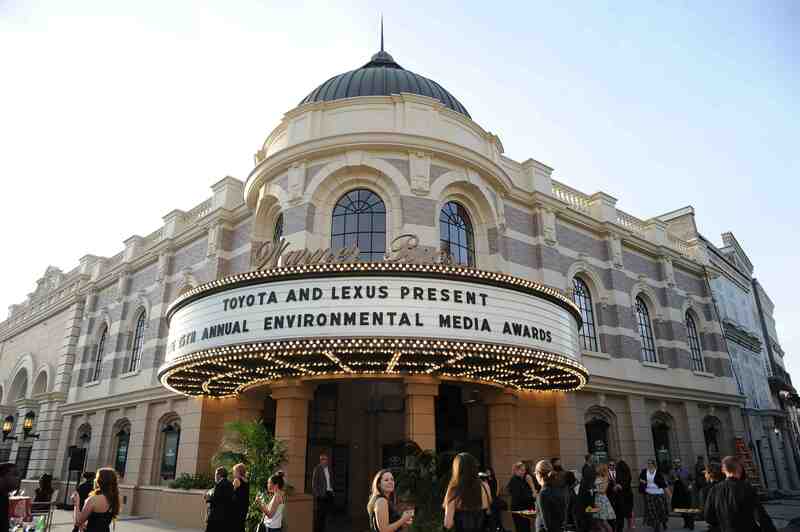 Help us celebrate eco-messaging at our 26th annual Environmental Media Awards happening October 22nd at Warner Bros. Studios. Revisit and reminisce over past EMA Awards on our website. 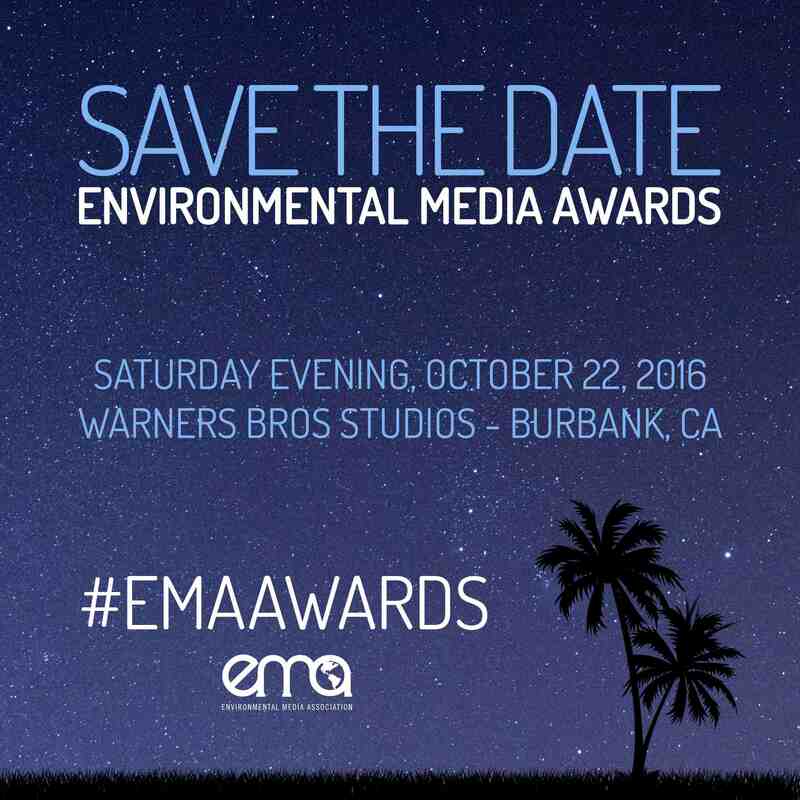 We hope you will join EMA at the 26th Annual Environmental Media Awards taking place Saturday evening, October 22nd, 2016, at Warner Bros. Studios in Burbank, CA. November Newsletter: Live From the EMA Awards!